Prozak – ‘Black Ink’ NOW AVAILABLE At Best Buy! 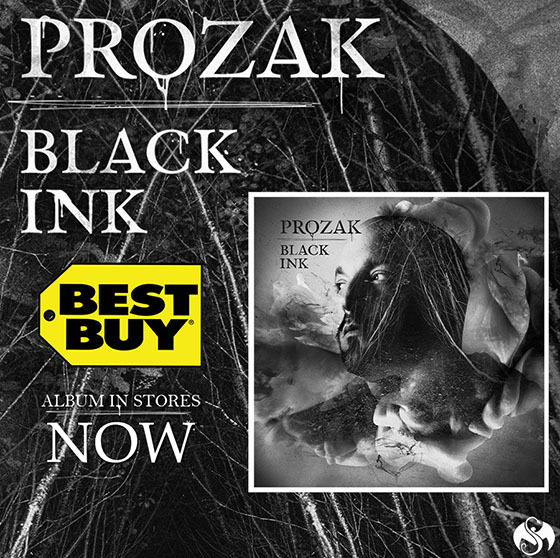 Get yourself to Best Buy to get Prozak’s lastest album Black Ink! Black Ink is what permeates every facet of our lives – from birth to death – and this album weaves tales of his existence in a tumultuous society. Tracks like “Your Creation”, “Purgatory” and “Tomorrow?” and features like Tech N9ne, Twiztid and Madchild, make Black Ink both introspective and relatable to the masses.